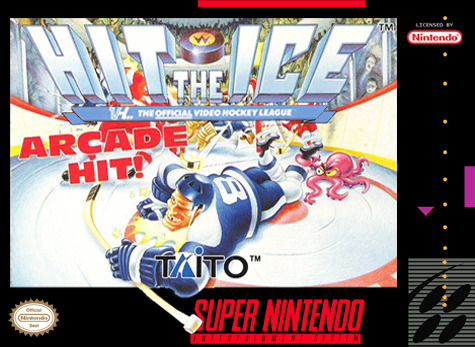 Hit the Ice for Super Nintendo is an arcade style hockey game. The action is fast and furious as you try to outscore and outslug your opponent. While the traditional rules of hockey apply, that doesn't mean you can't throw an elbow or a high stick when the ref isn't looking.